One may think that those "dropping out" of the daily rat race, bring up all those envy driven prejudice towards the so called "Cheapies" living under the shade of coconut palms, - stop it, its all wrong. To be FREE isn't easy at all. Right away no one cares about you, i can do what i want whenever, whatever. Not really, as at first the physical and so the psychological conditions need to be healthy. As no one will tell you to check on your health, so no one tells you to be aware of "bad habits", no one to lean on a cosy shoulder. and last but not least, there is no salary by the end of the month. Alone, singled out. Well, after many years, so observed, things are sorted out as to the extent that those surviving "Cheapies" became a minority, a minority who knew to respect others, to respect other beliefs and cultures and therefore achieved mental freedom. Thanks to Bee and all those who I met on my way to search for the truth. 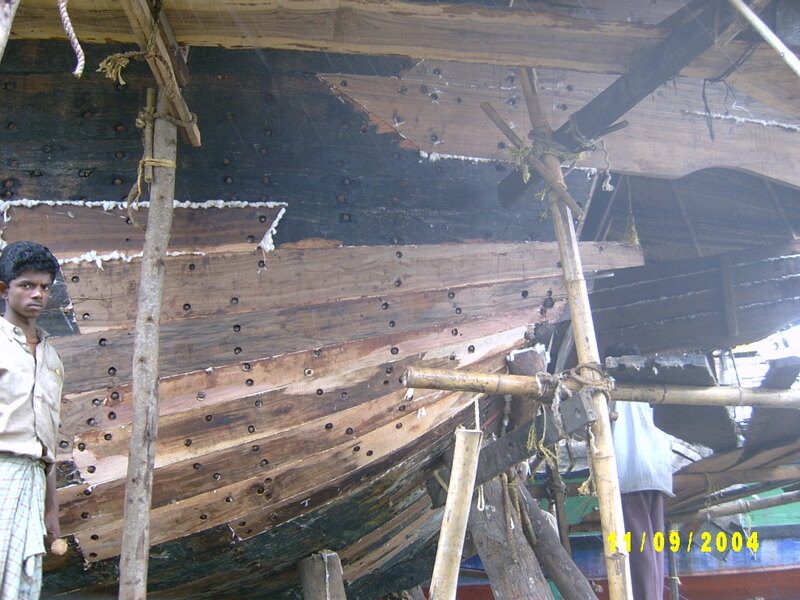 Those 20 years on our Indian Dhow "S.V.AUM GAIA" as my hardest work time! No laying in the hammock to get nicely a brown taint as one may think. Sweating and sunburns, no one to lend a hand as those ones who joined to fulfill their dream left in no time disillusioned. 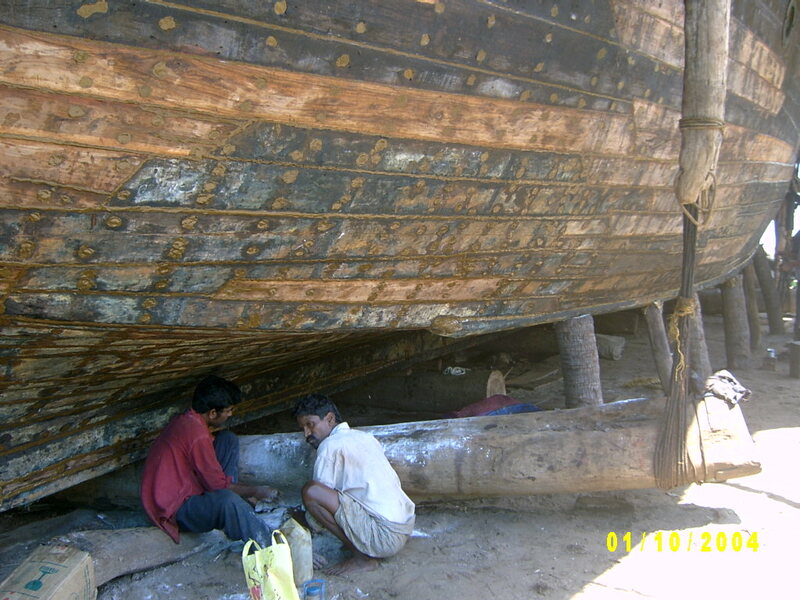 And its not only the maintenance of the over 50 years old Indian Dhow who keeps its 2 crew busy, Nature asks to be vigilant 24 hours every day. On top of it, we had to spend money to be able to work, except when we made charter. Forced by reason of health, we had to give away (not sold!) our floating home and consequently had to adapt to a new life again, with at first no other option than to go back to Europe to make money in a responsible way. Energy saving appealed to us and so we engaged to introduce the product ECOJET all over Switzerland. A simple and affordable application to reduce liquid and gaseous fuel consumption in engines and heating systems. 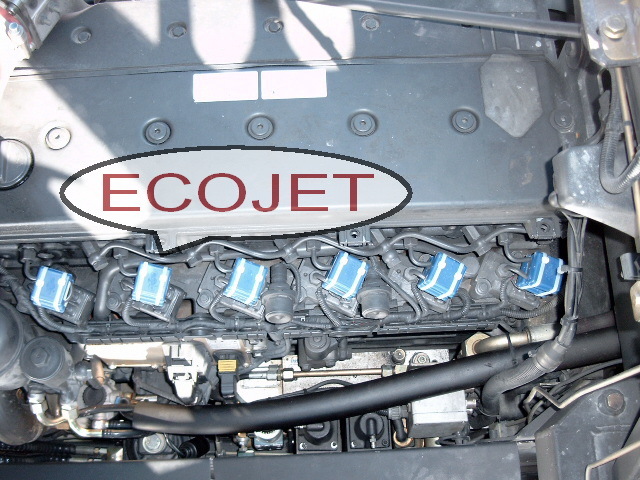 ECOJET Modules, the Fuel saving for liquid fuel like petrol/diesel around 8%, for gas 2.5% -3.5% (verified). After 23 years of my life in Asia, to me it was not possible to adapt again to western mentality and so after 7 months in Europe i moved back to India, actually without having succeeded to making money. Desperate to work, luck was on my side once again. This time, an Indian friend of mine wanted to invest in boat building. The fusion of investment and knowledge created Fiesta Yachts Goa. 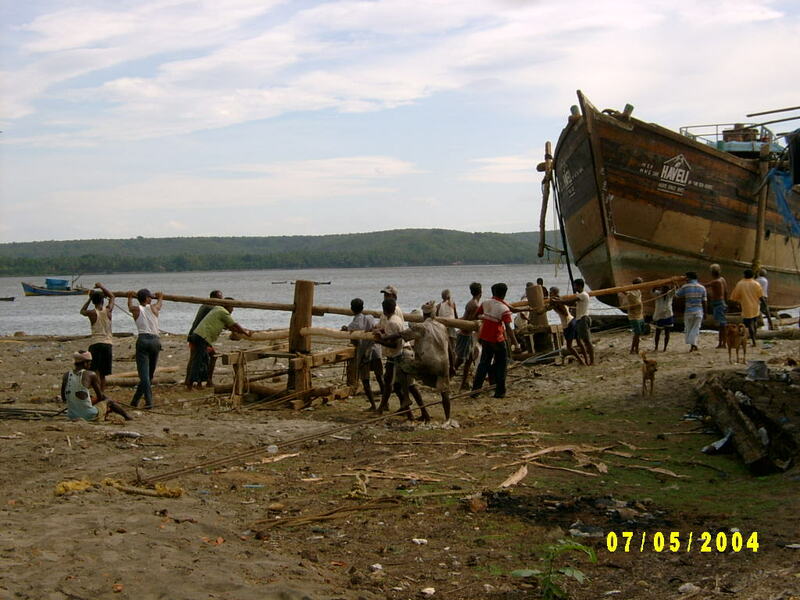 My task was to set up a yard and build small boats mainly made from wood. In the process of the growing company, polyester became the new building material for the production of boats ranging from Dinghies to up to 11meter mono and catamarans besides repairs / maintenance of any vessel . 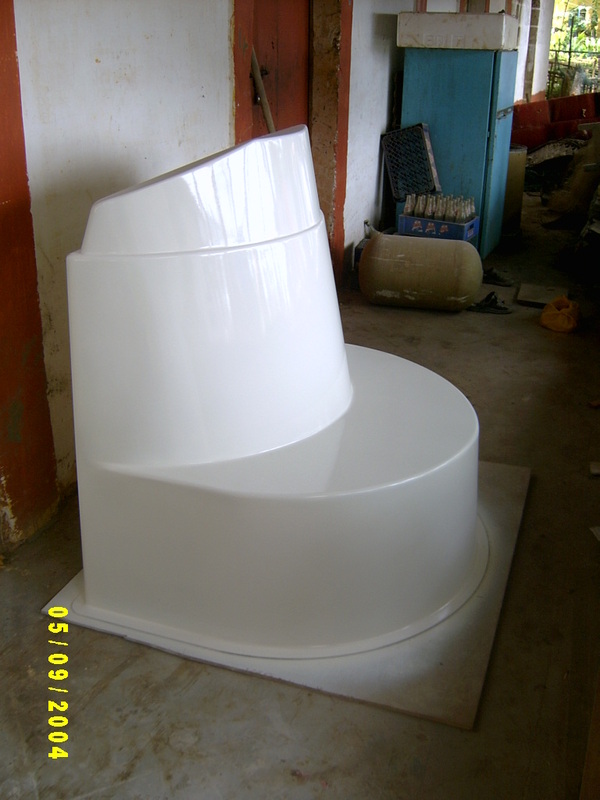 By then, polyester and fiberglass became dominant, the reason for me to quit the job. 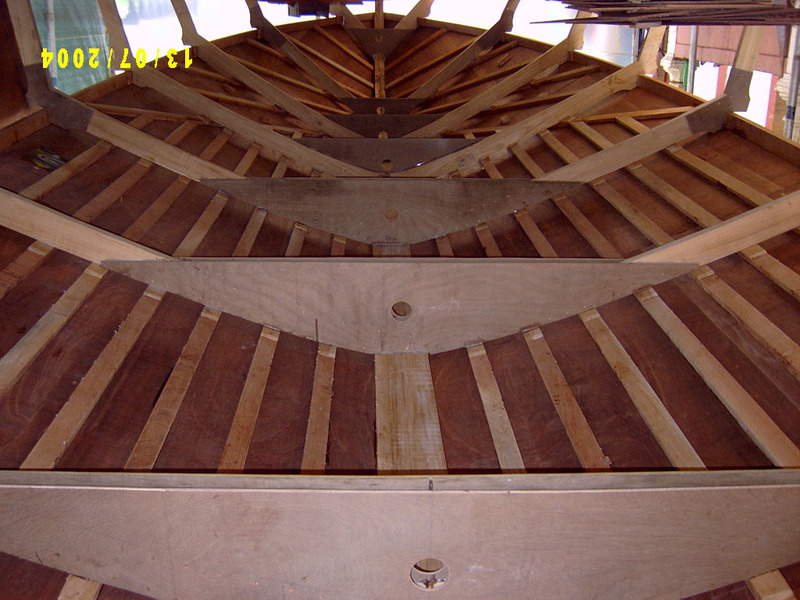 First order: Traditional wood construction of 5 PUNTS delivered to Cambridge River. 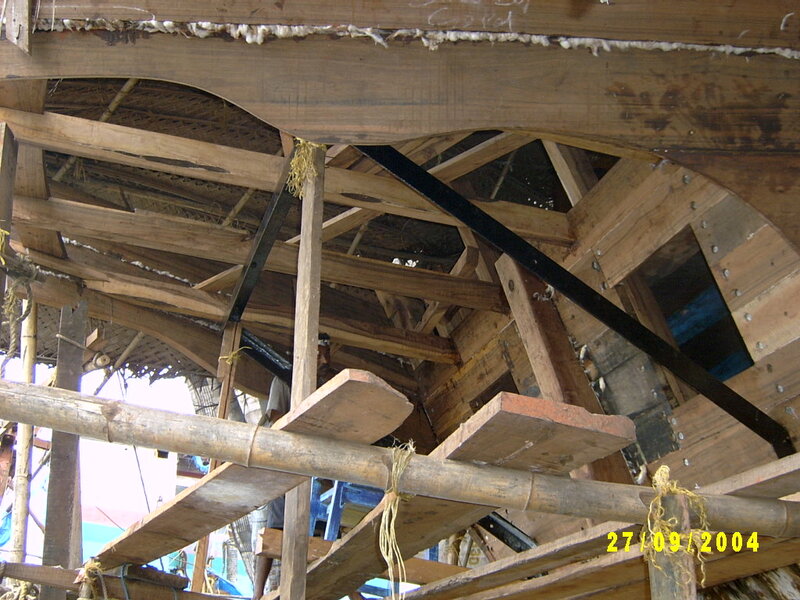 Bearing in mind the lack of modern materials in India, most fittings had to be made locally. Nevertheless, FIESTA Yachts built a wide range of pleasure boats under my supervision. 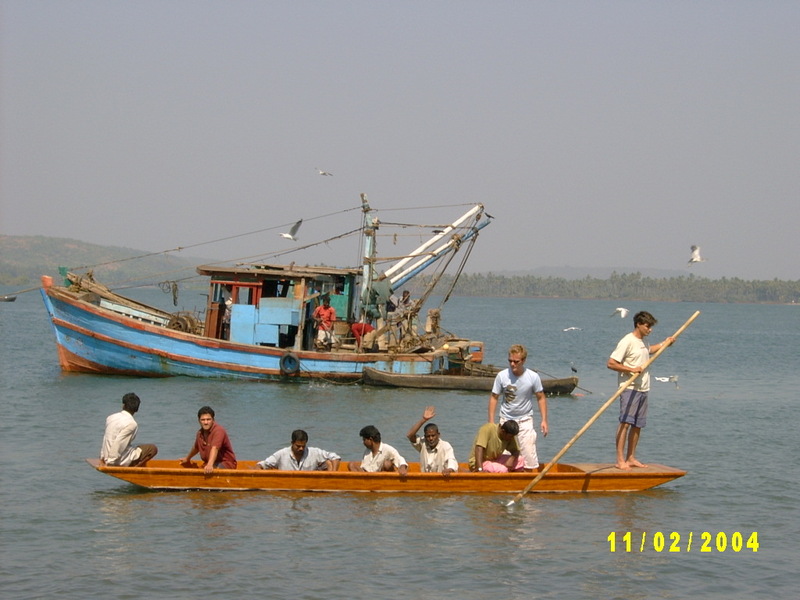 As Goan Tourism goes with time, the activity for Para Sailing caused some accidents on the beach. An altered design of our "Seafarer33" was the solution. Now parasailers could take off from the platform on board the boats, fitted out with a local made hydraulic winch. 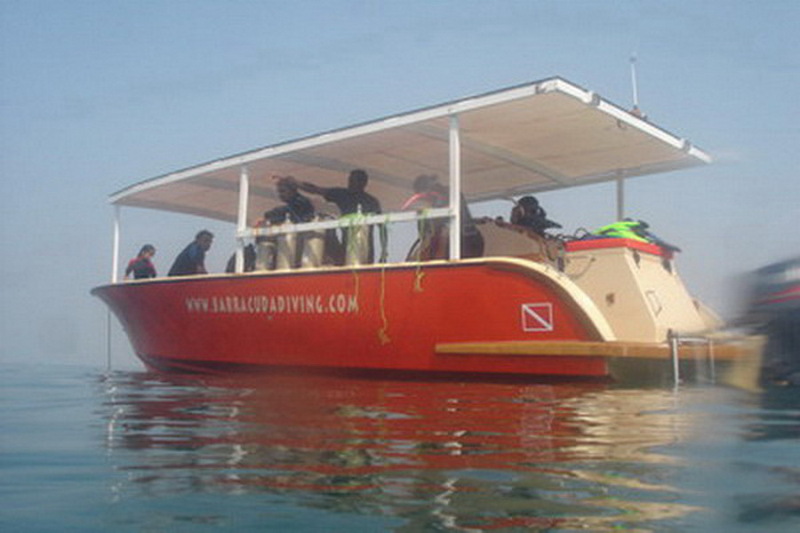 Also diving business needed boats suited for the purpose - we made it all. Few PROTO TYPES had been drawn and constructed with the idea of building super light for speed and shallow. draft. S.V. HAVELI the 1882 built Indian Dhow, the"old Lady" had been been enjoyed not only by its owner, an industrial from Mumbai, but also by termites and fungus (rot). 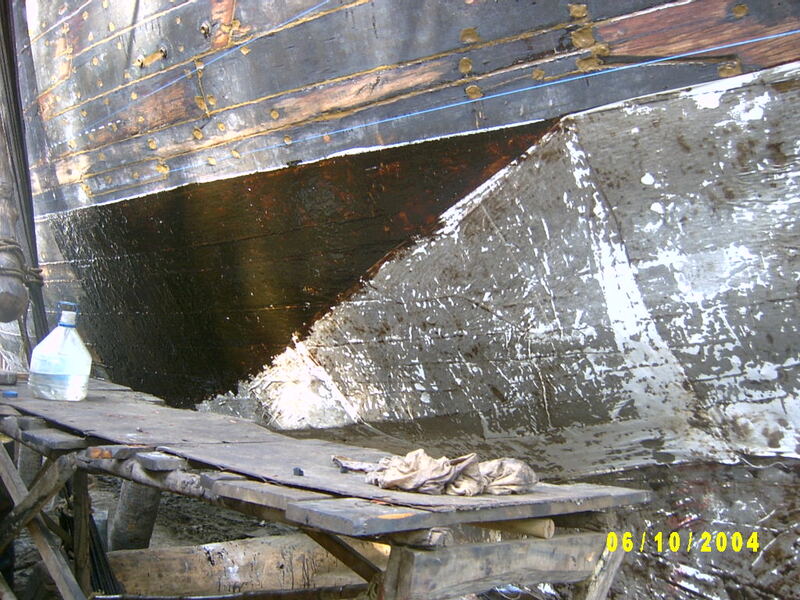 Due to my experience and knowledge, the owner had given me total free hand to repair this beautiful 28 meter Indian Dhow. With a daily average of 15 carpenters/helpers, the vessel was relaunched after 6 months and 3 weeks as scheduled. All works had been done in the traditional way. 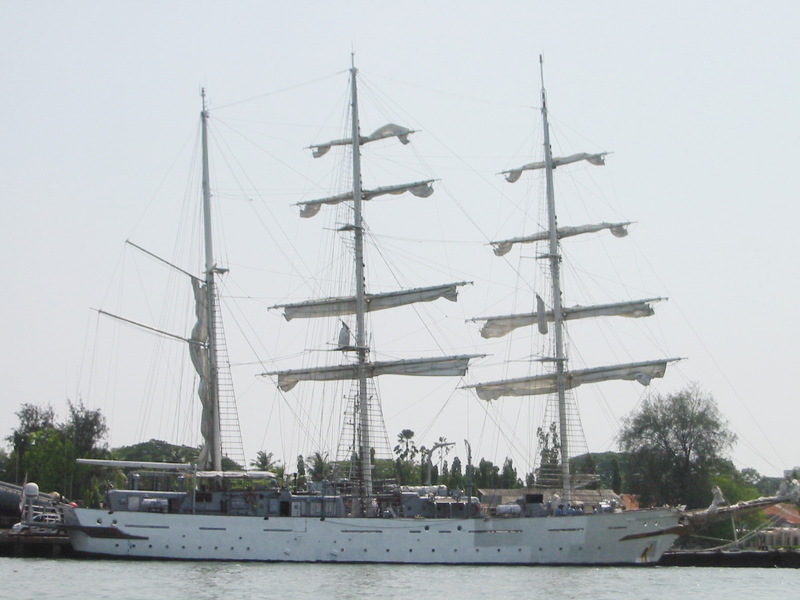 INS TARANGINI belongs to the Indian Navy and serves as the training vessel for officers and cadets. 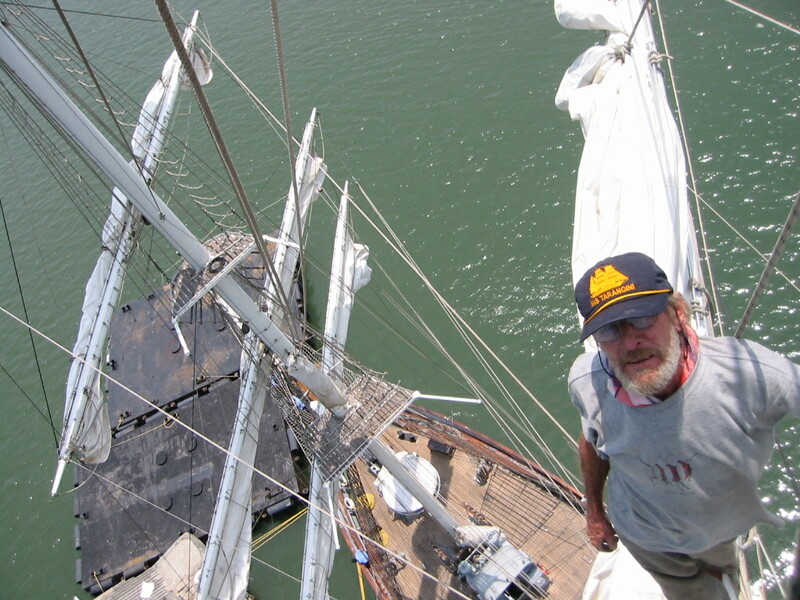 The 54 meter, 3 masted barque can hoist 965 sq meters of sail. 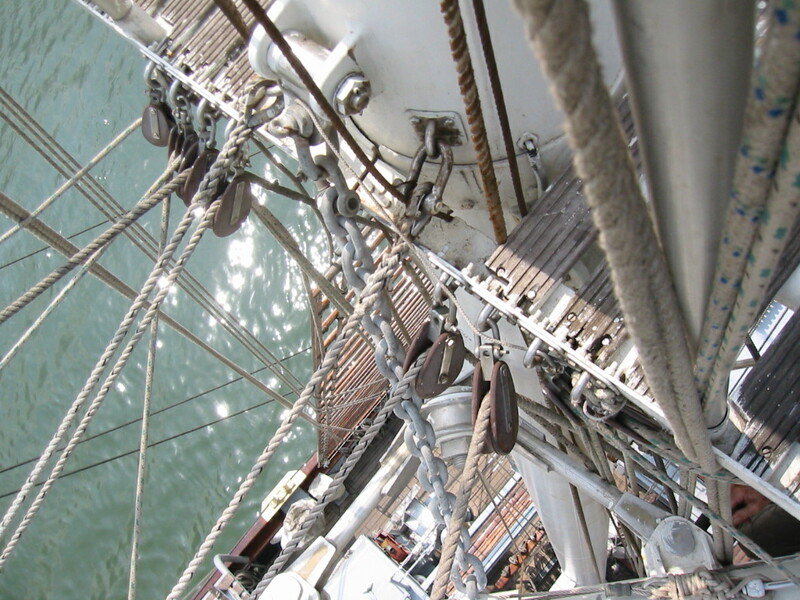 The main mast rakes 34 meter above deck.Our company was commissioned to make a survey of Tarangini's rigging. This demanding survey gives no place for vertigo as the bigger part of work happens in the heights of up to 34 meter. Full concentration and fitness during 5 days. 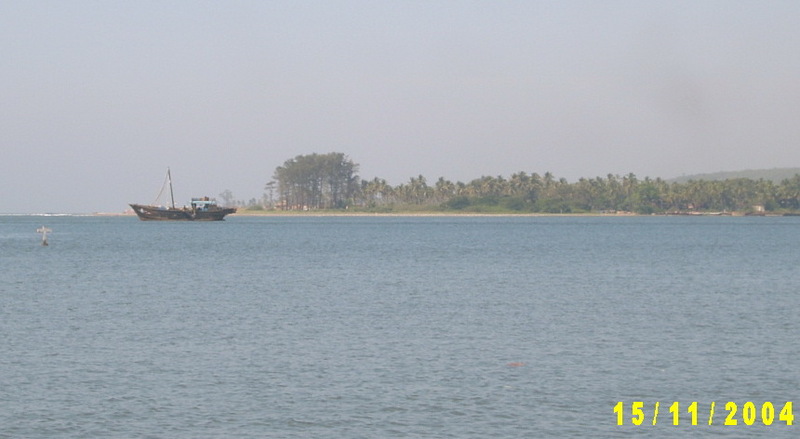 This was done in 2004 and 2006 at Cochin. 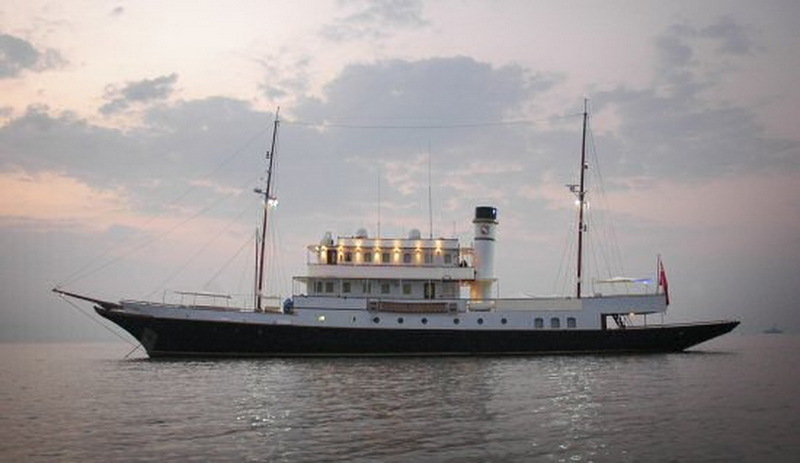 MSV KALIZMA owned by Mr. Vijay Mallya in 3rd hand after she was built in 1906 for the Queen Victoria, later sold to Liz Taylor and Richard Burton. 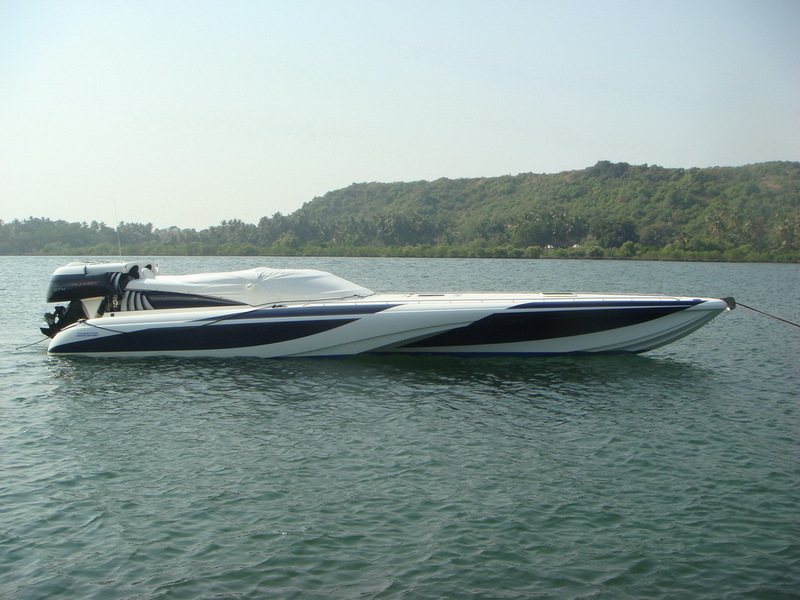 Anchored for a season at Mama Point in Goa, Fiesta Yachts maintained this beautiful yacht and her "accessories". 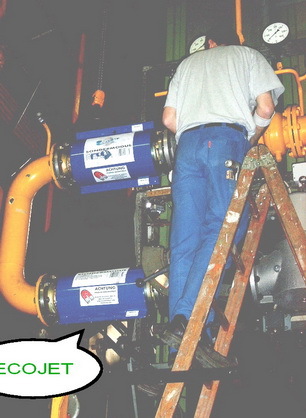 By the end of 2006 i officially decommissioned from the company i had supervised. Nevertheless, i continue as consultant and supporter of the company till date. 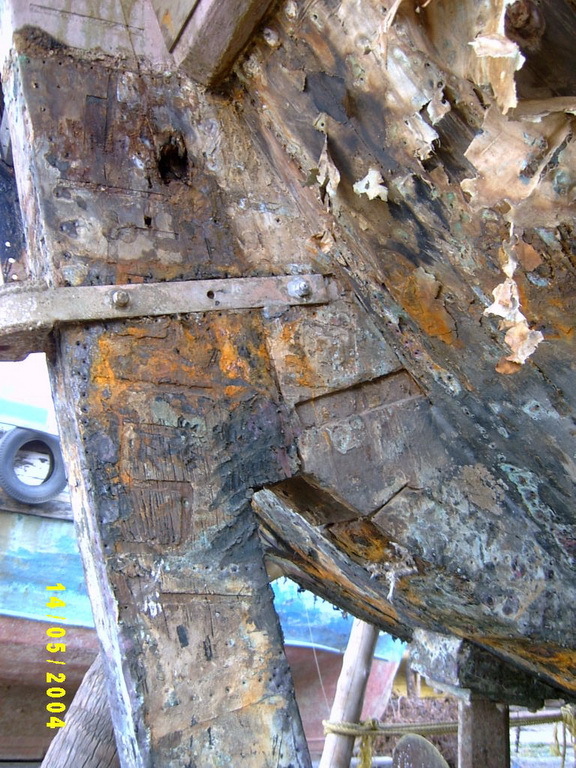 These days i offer freelance service for most subjects in the private marine sector. BLADE RUNNER 35 This high tech speed boat, equipped with up to date electronics, had given me the chance to repair and to enjoy driving her, pushing to 60 to 65kn on flat water - whaouu... .